Posted: Friday, April 1, 2016. 11:15 am CST. By BBN Staff: Maya Mountain Cacao (MMC) Ltd. which is based in Punta Gorda Town, held its Annual Farmers Meeting on Saturday March 19th, drawing a crowd of more than 300 farmers, chocolate makers and industry stakeholders from across the Toledo District to discuss market expansion, as well as price sustainability. At the meeting, guest speaker Alfredo Ortega of the Belize Sugar Cane Farmers Association shared his experience with pricing challenges in the sugar industry that cacao farmers could avoid with the right decisions and Alex Whitmore, Managing Director of Taza Chocloate, one of the most well-established bean-to-bar chocolate makers in the U.S., distinguished the value of Maya Mountain Cacao as a quality cacao processor over other companies in the area. Whitmore said that “Belize cacao is exceptional for flavor and how it’s processed can make all the difference. 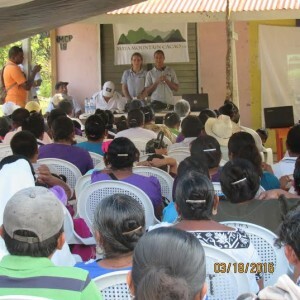 We only trust Maya Mountain Cacao to deliver the quality we expect from Belize cacao beans.” Whitmore, along with 20 other well-established chocolate makers in the USA wrote an open letter to Cacao Farmers in Toledo committing to buying Maya Mountain cacao over other cacao processors. Since 2010, Maya Mountain Cacao has worked hard to build global interest in Belize cacao beans and the work has paid off. 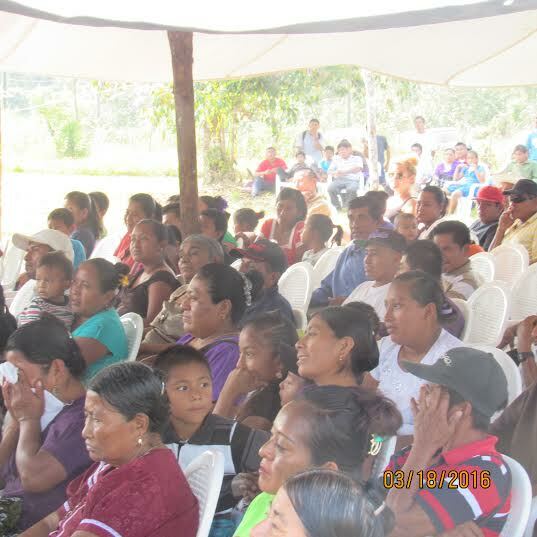 Today there is a great demand for Belize cacao, causing a competitive environment in Toledo for farmers’ cacao beans. 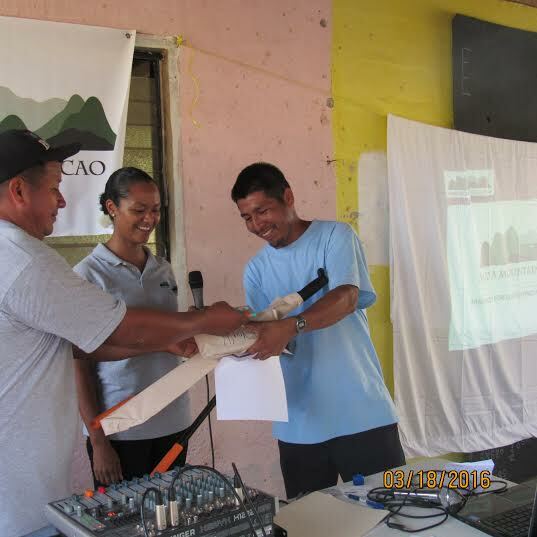 The event was held at MMC’s new Cacao House facility site and many farmers were awarded for their hard work throughout last year.